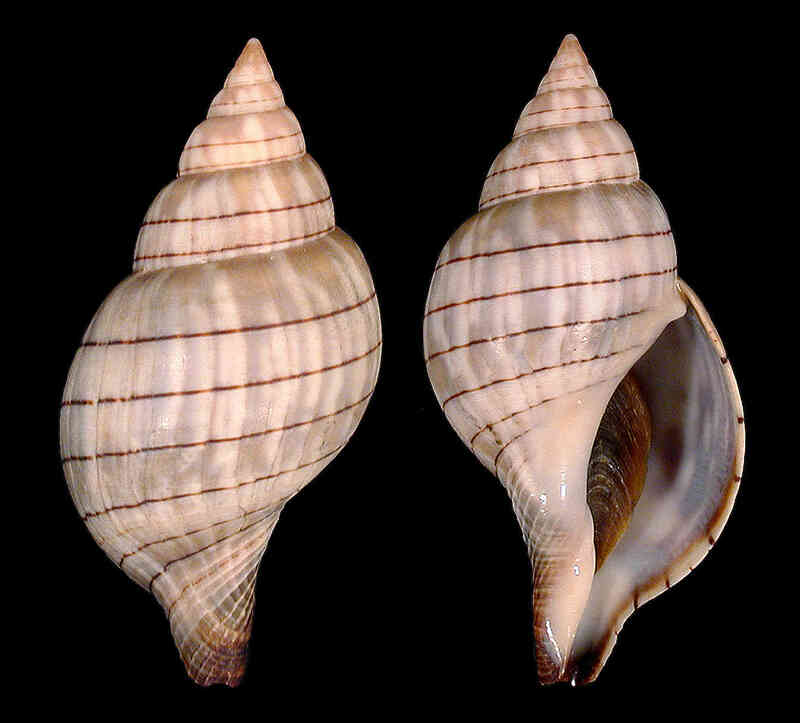 Shell size to 80 mm; shell fusiform, similar to F. tulipa, usually smaller. Body whorl exhibits 5 to 6 dark brown, widely spaced, spiral lines. Background color is grayish with darker bluish gray streaks. Mottled with purplish-brown or brown. The additional photo, taken by Amy Tripp near Marco Island, shows a female banded tulip in the process of laying egg cases. 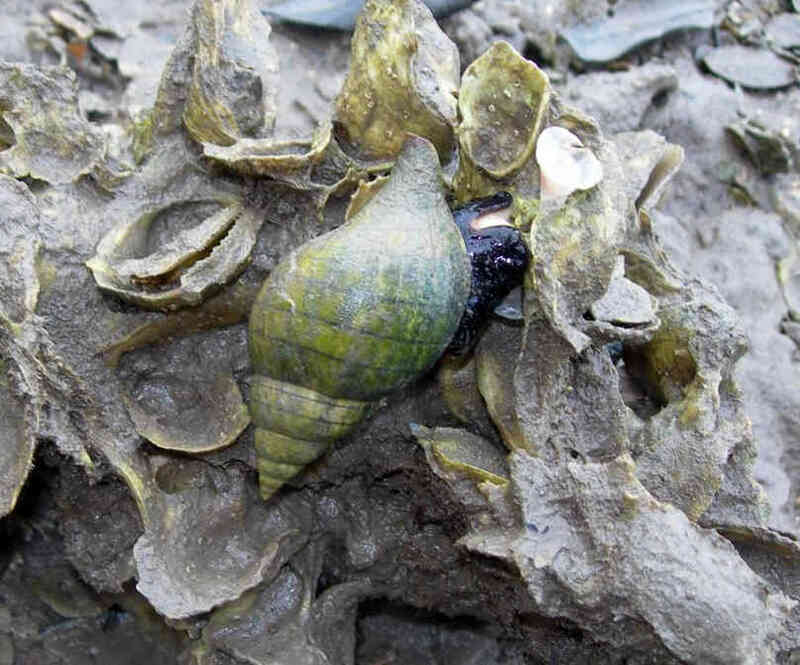 The greenish color on the shell is most likely caused by a layer of microscopic green algae. 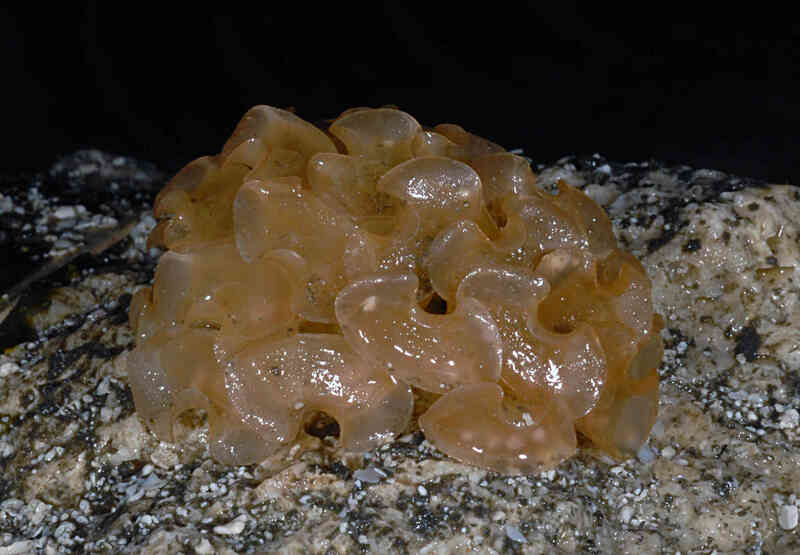 The egg cases were laid in the Museum live tank. The egg case looks like a small version of that of the true tulip, minus the frilled edges.